In the world of free desktop video players, VLC reigns supreme. It’s free. It’s open source. You can watch virtually any video file. It’s lightweight, safe, and widely trusted. But like a lot of free, open-source software, it can be a little bit buggy from time to time. And the UI design is somewhat out of place on a Mac, surrounded by higher-end software designs. 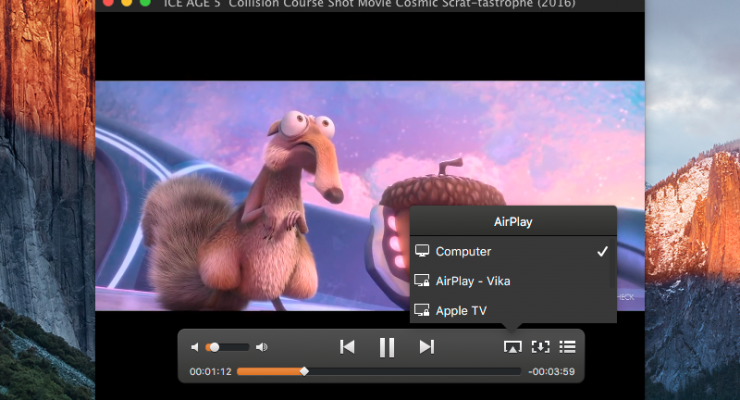 While VLC is a suitable application for occasional video playback, Elmedia represents the next step up. Elmedia Video Player is a replacement for VLC that offers a little more polish and a little less stutter. The basic version of the application is free, but you can shell out a couple dollars for the pro features. When you’ve paid for the pro features, you’ll have access to just about the same number of features that VLC provides for free. That might sound like a rip-off, but Elmedia’s tools tend to work a little better. You don’t have as many strange quirks and broken buttons as you find in VLC. Like VLC, Elmedia can play just about any kind of video file. It will roll through AVIs, MOVs, MKVs, and FLVs without complaint. It supports subtitles, multiple video streams, and playing videos from a link. You can also get detailed control for subtitle syncing and audio syncing, fixing out of sync audio and subtitle problems from within the player. Playback speed can be adjusted in 10 percent increments, and playback loops can be set for replaying the same portion of a video file repeatedly. In testing, we found that Elmedia was a little easier to use than VLC. It’s hard to quantify exactly what made it this way. But the UI felt snappier and more reliable, with a slightly more reliable full-screen mode. Elmedia also includes a variety of features you won’t find in VLC. You can download YouTube videos directly from a link, or play them within the Elmedia app separately from the web page. This allows you a greater degree of playback control than you’ll find within the YouTube player online. Downloaded files can be saved in their maximum quality as MP4 files. 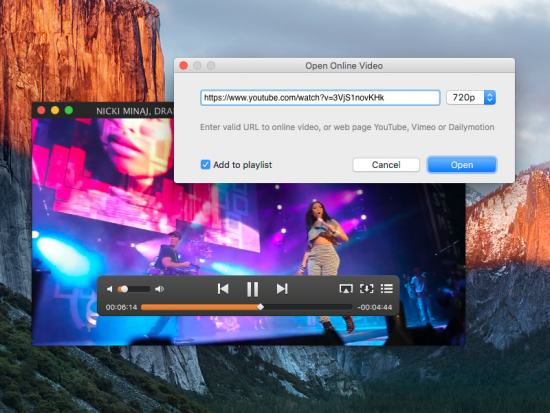 VLC has an additional set of tools for capturing video, but those open-source tools have never worked right on macOS. So as far as streaming or capture goes, there’s not much of a functional loss in terms of Elmedia not having those tools. The app also includes built-in screenshot tools that allow you to precisely capture images from videos. You can capture a single frame of video, or set a repeating screenshot to take a capture every frame, second, or minute: whatever it is you need. Audio effects are not as wide-ranging as VLC’s tools. Here, you’ll only see a 10-band equalizer and a video tuner to balance color and contrast. This compares to VLC’s significantly larger effects toolset, which includes crop, color, transform, watermarking, banding removal, film grain, equalizer, compressor, and a handful of other specialized tools. Subtitle support in Elmedia is solid but it’s not quite as good as VLC. There are more tools that are quickly available for playing and modifying subtitles quickly. Elmedia has a preference pane for slightly tweaking subtitle appearance and a keyboard shortcut for adjusting subtitle sync, but that’s about it. Borderless playback is a nice touch as well. It’s just about the same as QuickTime’s borderless playback, though without the rounded edges. Full screen is done via the default macOS full-screen features, though that’s somewhat expected at this point. We found Elmedia to be a capable replacement for VLC, especially for users that just want capable media playback. It plays video well and with minimal fuss, which is exactly what you want. And it won’t install irritating update popups like DivX or other old-fashioned video players. Give it a spin: you might find it to be worthy. At this point, it’s our personal choice for video playback. If you want to try it out for yourself, you can download Elmedia Video Player by clicking here.